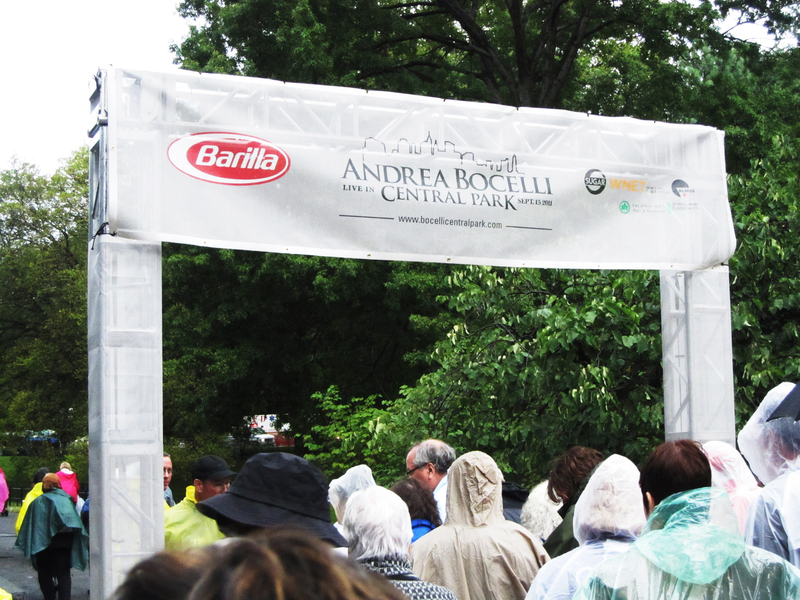 When I heard Andrea Bocelli was to perform in Central Park, I immediately thought of the amazing concert I missed years ago when Simon & Garfunkel sang to thousands of fans in the Park on a balmy summer evening. What an opportunity! This time I would be there under the stars with friends and a picnic and together we would soak up that magnificent voice. Unfortunately ‘soak’ was the operative word! Rain was forecast early in the day, but we were optimistic as we joined the queue around 3 pm that our raincoats and umbrellas would protect us from a passing shower. The good news was that being with Leanne & Gabby the guide dog, we received special access to the front area of the concert with chairs provided. The other news was that it started to rain about 4pm, the temperature dropped dramatically, and wintery conditions swept through the Park for most of the night. 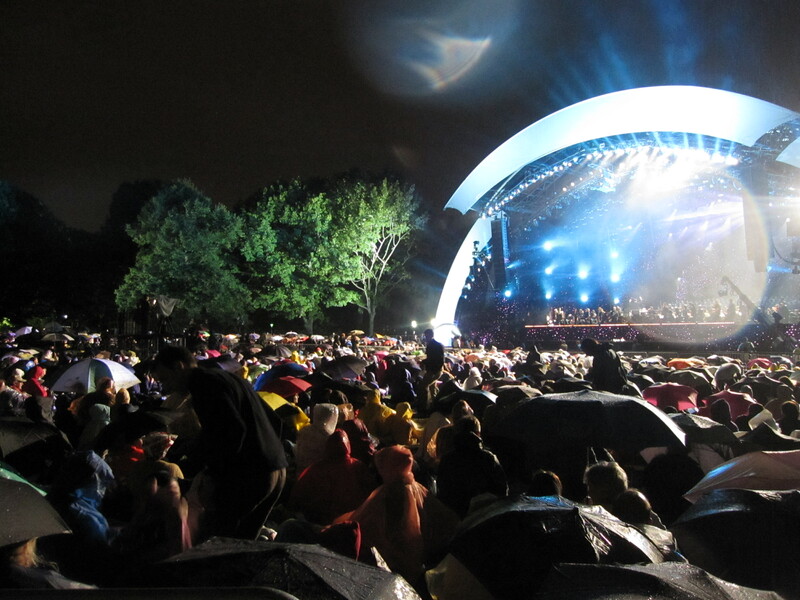 But in spite of the wind and rain, the police helicopters chopping through the emotional strings of ‘O Sole Mio’, and the confusion about what was actually happening on stage, we had a great time. There was Andrea of course, the NY Philharmonic, a parade of famous musical guests and best of all, the comraderie of the crowd. New Yorkers love Australians – one fellow spoke at length to us about his R&R in Townsville during the Vietnam War while another kept the umbrellas down in front. 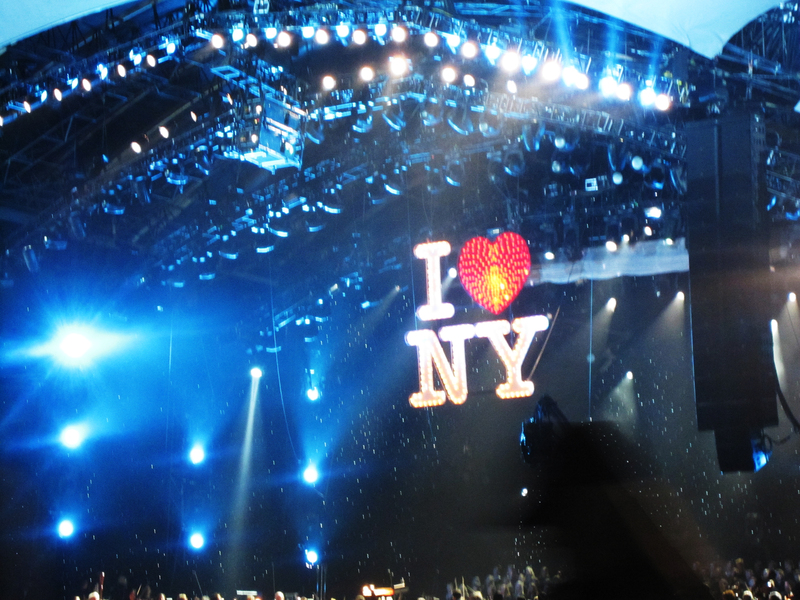 It was a memorable concert, if not for the reasons we expected, and the absolute highlight was when Tony Bennett joined Andrea on stage to sing ‘New York, New York’ – and we were there to hear it!